Create a legally binding Rhode Island Bill of Sale with our attorney-drafted template! What Is a Rhode Island Bill of Sale? A Rhode Island bill of sale is a form that documents the exchange of ownership of an item from one person, known as the seller, to another person, known as the buyer. Some types of Rhode Island bills of sale need to be notarized. 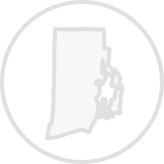 What Are Some Common Bills of Sale Used in Rhode Island? The most commonly used bills of sale in Rhode Island are a general bill of sale, a bill of sale for a motor vehicle, a bill of sale for a boat, and a bill of sale for a gun. How Do I Write a Rhode Island Bill of Sale? Writing a Rhode Island bill of sale requires that you have some specific information. The difference between the commonly used bills of sale is found in how the item is described. First, you'll learn about the information included in all bills of sale. Then, you'll learn more about describing the item being sold. The date the Rhode Island bill of sale is created should be at the top of the page. 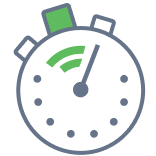 If the buyer will pay for the item on a different day, the date should be included in the terms of sale where the price is discussed. You'll need the legal name and physical address for both the buyer and the seller. You'll also want to designate which party is the buyer and which party is the seller. Next, you'll insert the description of the item. The next provision is the terms of sale. You'll list whether the exchange is a gift, a trade, or involves money. Items being traded should be described. Monetary sales should list the amount in words and then in numbers. For example, three-hundred and seventy-five dollars and no cents ($375.00). You should include a seller's disclosure. A seller's disclosure serves several important functions. First, it affirms that the seller has the legal right to sell the item to the buyer. Next, it informs the buyer if there are any problems with the item that the seller knows about. Finally, it designates whether the sale is warrantied or if it is an "as-is" sale. It should be signed and dated by both the buyer and the seller. For a Rhode Island bill of sale for a boat, it should not be signed until the seller is in front of a notary. When the Rhode Island bill of sale is completed, both the buyer and the seller should keep several copies for their records. A description of the item including its color, size, and the type of material its made from. You can use any description that you believe would help identify the item. Just make sure that its thorough. A general Rhode Island bill of sale does not need to be notarized. An odometer reading and whether it is the actual mileage or a discrepancy. Whether the vehicle is gas, diesel, electric, or a hybrid. The major color of the vehicle. A Rhode Island bill of sale for a motor vehicle doesn't need to be notarized, but you can have it notarized if you'd like to do so. The serial number of the horsepower. Material the hull is made from. Make and year of the boat. The color of the boat. A Rhode Island bill of sale should be signed by the seller in front of a notary. This bill of sale does not need to be notarized. Is a Rhode Island Bill of Sale Required to Register a Motor Vehicle? A Rhode Island bill of sale is required to register a motor vehicle if it is a non-titled vehicles. Rhode Island does not title vehicles that are a year 2000 or older. To register the vehicle, you'll need to complete a sales tax form and an Application for Title. For non-titled vehicles, you'll also need an Application for Registration and/or Driver License Information. For salvage vehicles and custom builds, there are other requirements. You can learn more here. Is a Rhode Island Bill of Sale Required to Register a Boat? Yes, a notarized Rhode Island bill of sale is required to register a boat. You'll also need to complete a Boat Registration Application. You'll also need the title. To learn more about boat registration requirements for the State of Rhode Island, click here. Is a Rhode Island Bill of Sale Required to Register a Gun? No, a Rhode Island bill of sale is not required to register a gun. Guns are not formally registered unless one is applying for a concealed permit. 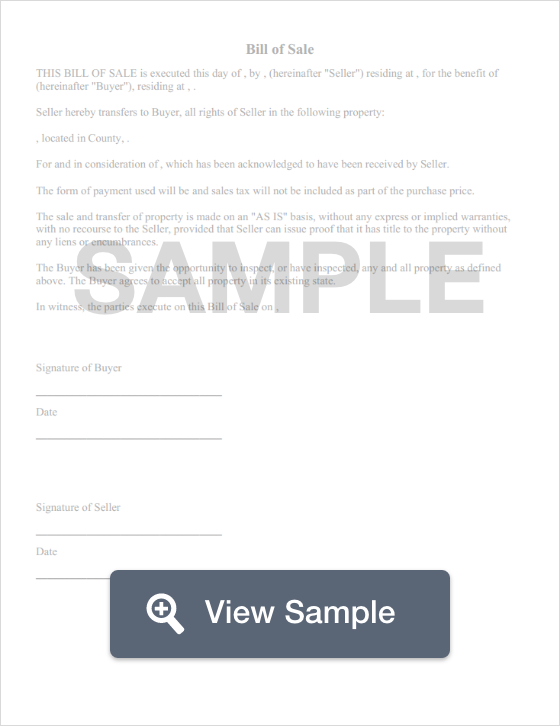 Create a free Rhode Island Bill of Sale in minutes with our professional document builder.